Category Archives for "Feline Nutrition"
Worried You Have Overweight Cats? Is your cat starting to look a little bit porky, are you worried your cat is overweight? Have those extra teatime treats started to tell on your cat? Or could it be that your cat is actually the right weight for his size and breed? We all like to treat our beloved pets from time to time, but as a nation of animal lovers our cats are getting fatter! Could it be that all this extra love is starting to have a detrimental effect on the health and well-being of our cats? 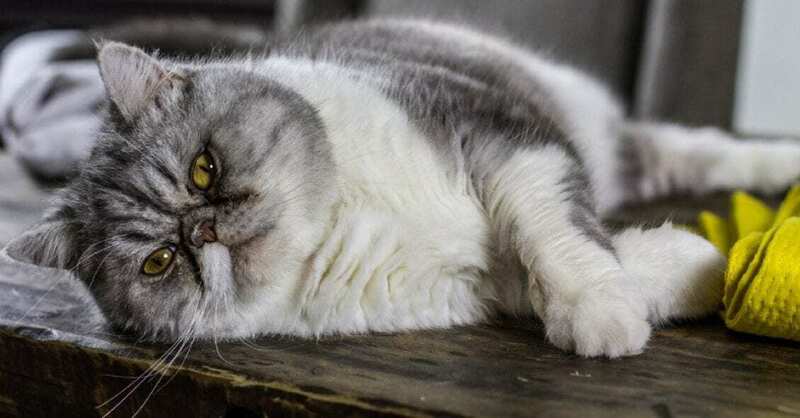 Even if your cat is just starting to get a little chunky round the edges, you can take action now to prevent your cat getting too overweight. So let me show you how to spot your cat is overweight and what positive steps can you take to help your cat lose some weight.